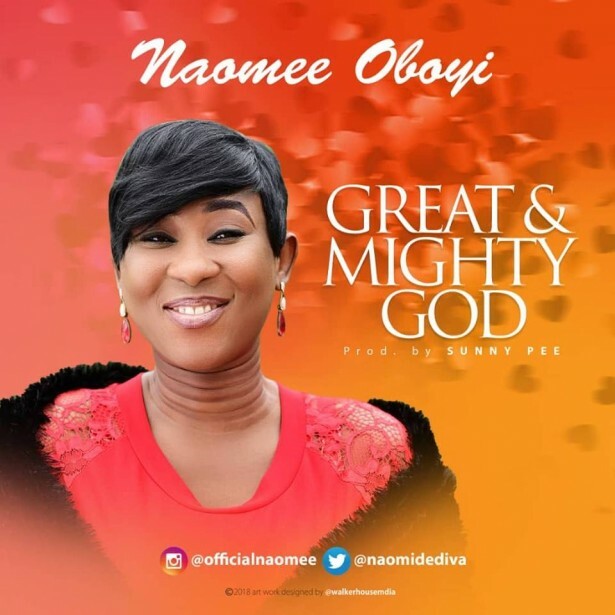 Naomee Oboyi Great and Mighty God Mp3 Download – Naomee Oboyi, an Abuja-based gospel singer/media personality, releases another sound from heaven entitled “Great and Mighty God”. The song completely talks about the greatness of our God, the Mighty Man in battle that fights our battles and gives us peace. “Great and Mighty God is a song of worship to our God. There was no god before Him; there will never be any like Him. He remains the Ultimate. “Who is able to say a thing, and give effect to it, if it has not been ordered by the Lord? “We were created to worship Him and to tell others about His greatness. “That’s exactly what we have done in this song. I’m so sure it will be a blessing”. Naomee Oboyi is twice a microphone phenom, when she’s no making music, she’s working as a radio host on Abuja’s Max 90.9FM. The song was produced at the Global Music Studio in Abuja by one of Nigeria’s best gospel music producers, Sunny Pee (the producer of Ekwueme).